I’ve been wanting to display some of the pictures off of my phone for a while now. I don’t have a lot of surface space for frames and such so I’ve been brainstorming some fun ways to display Instagram pictures. 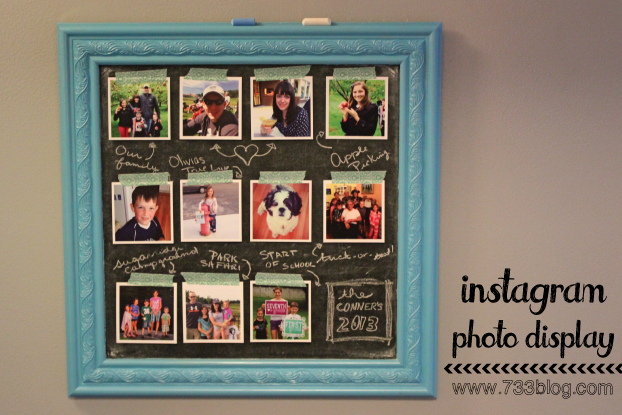 It was about time to change up my chalkboard again so I ended up combining the two! 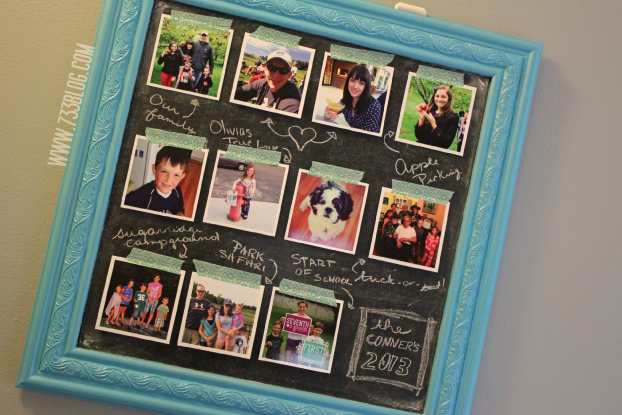 I bought 3×3 photos from Foxgram and used washi tape to adhere them to my chalkboard. I absolutely love the look and how easy it will be to switch them out every month or two. Such a fun way to get the pictures out of my phone and on display for everyone to enjoy. Tell me, how do you display your Instagram photos? I’ve seen tons of ideas out there, let’s hear yours! Also, where do you get your pictures printed? I spent $4 on 12 3×3 prints, including shipping, through Foxgram. That was the best price I could find.